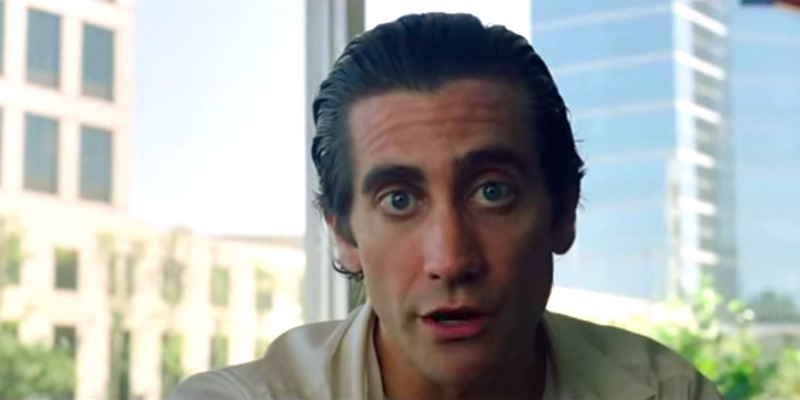 If you're like a lot of Americans, you woke up to the news this morning that last night President Donald Trump delivered his first address to a joint session of congress and managed to sound like someone who was not an enraged, unhinged real-life-version-of-if-Jake-Gyllenhaal's-character-from-Nightcrawler-was-a-successful-landlord. For many news organizations, and indeed, for many every day Americans, Trump tends to be graded on curve. When your ordinary classroom behavior is to tip over all the desks and try to stab the teacher with scissors, managing to simply sit quietly and do some light vandalism to your desk with a pocket knife is a massive improvement, after all. So it is with Trump, who delivered a speech last night, that while very light on substance, was by all accounts more subdued, lighter in tone, and less free associating and off-script jabbing than any speech he's made in the past. Writing for The Atlantic, David Frum points out that Trump's speech failed in 3 large ways: failing to lay out a coherent agenda, failing to give any real details about how his goals would be accomplished, and failing to respond to any of the mounting scandals and criticisms that have plagued his presidency thus far. Senate Minority Leader Chuck Schumer (D-NY) echoed these sentiments, basically saying that while Trump delivered some nice words, his actual actions are yet to live up to anything he promised and anything the American people want. ABC News' Rick Klien reports that while Trump did do a better job with both tone and rhetoric, he has changed nothing about the unpopular and controversial policies he supports. In 2 separate stories, Vox reported that 1.) Trump did not provide any leadership settling the growing rift in the party on how to repeal and replace Obamacare (if at all) and 2.) Despite some conciliatory tone, there has been no indication that the administration has any intention of changing its immigration stance. I don't personally fault him for this, because I feel like any politician would have done the same thing, but I suppose that doesn't make it right, and at least the folks at Slate felt Trump's outreach to the mother of slain Navy SEAL Ryan Owens was "crassly manipulative". So, while there's no denying that last night's speech was a massive improvement from a rhetorical standpoint, from the standpoint of content, policy leadership, and actual substantive change, this is still the same ol' Trump who reportedly echoed David Duke in saying that the recent wave of anti-Semitic attacks including the desecration of Jewish cemeteries in St. Louis and Philadelphia, may have just been "false flag" operations of Jews terrorizing themselves for sympathy. Wow. A cure for Trump whiplash is always a tweet away. Featured photo by Matt A.J. Newer PostTravel changed these 4 people. Then they changed the world.